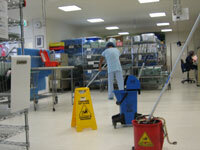 All our cleaning programmes are designed to achieve accreditation standards. 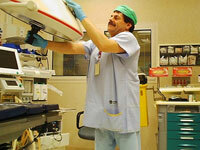 Daily cleaning programs designed for Operating theatres, Recovery and Holding Bays, sterilisation areas and dirty areas. Car park cleaning and external building cleaning. Please fill in the form below, and one of our customer service staff will call you to arrange an obligation-free quote. Fields marked with an asterisk (*) must be filled in in order for us to give you prompt and accurate service.